One of the most important things that happens at a routine checkup is an overview or your periodontal health (or gum health.) The early symptoms of periodontal disease can be subtle to the untrained eye and your dentist will know exactly what to look out for. Why is this important? Well, untreated gum disease can cause an awful lot of damage to your mouth, in addition to putting you at a higher risk for developing a host of health complications—including heart disease, diabetes, and more. 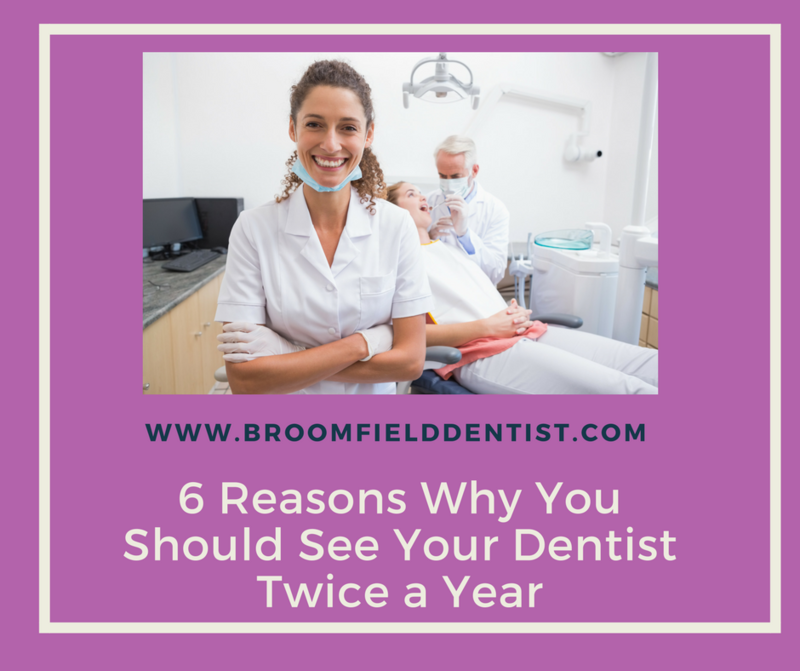 Seeing your dentist every six months means the likelihood of catching periodontal disease early is much higher, and hopefully the risk of unwanted associated complications much lower. Plaque and tartar have a habit of building up in a hurry if you’re relaxed with your oral hygiene. Visiting your dentist every six months means that soft plaque doesn’t have much of a chance to harden on the surface of your teeth, which can cause gum irritation and even lead to periodontal disease if it’s not taken care of quickly. One of the things your dentist will assess at your check up is your bite alignment. Clues in your alignment can reveal problems with bruxism (tooth grinding), jaw or neck pain, or even sleep apnea. If a dentist suspects that something’s off with your alignment, they’ll be able to get to the bottom of it and hopefully present a solution, ensuring less pain and a better night’s sleep. A cavity caught early is a much smaller problem that a cavity that goes unnoticed or untreated for months, or years, on end. A small, simple filling is much less expensive and time consuming, not to mention more comfortable, than a root canal procedure. Believe it or not, our mouths can say a lot about our heath in general. During your examination, your dentist will look for signs of possible oral cancer, diabetes, or vitamin deficiencies. If they suspect something is unusual, they can recommend follow-up appointments with specialists. Dr. Peebles-Turner and her wonderful team serves patients in Broomfield, Colorado.